The drive time between these two points is around 22 hours in real time, but with a ferry crossing between the islands and so much to see along the way you’ll want to make the most of your trip. 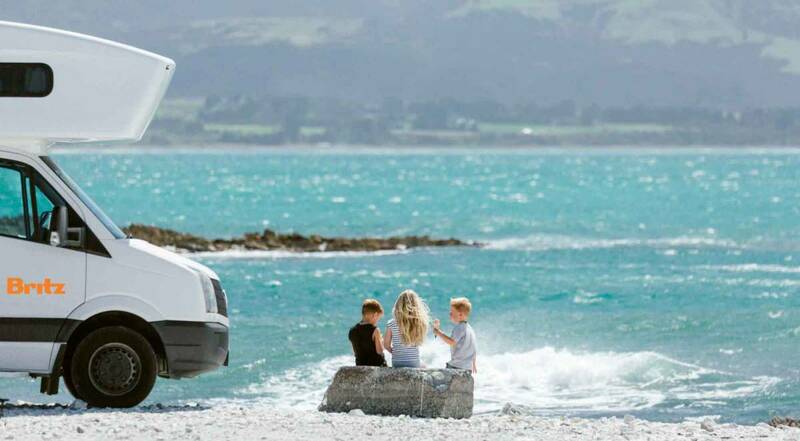 With that in mind, we’ve compiled a list of must do’s for a magic campervan holiday the whole family will get on board with. Be sure to book a window seat so you can get your first glimpse of stunning Lake Wakatipu from the air when you fly in. You may even be lucky enough to see a puff of smoke from the chimney stack of that most famous of small steamships, The TSS Earnslaw, which plies the route from downtown Queenstown to Walter Peak Station at the far end of the lake many times a day. The TSS Earnslaw is a beautifully maintained Edwardian era ship for a tour of the lake; or disembark at Walter Peak Station for lunch at the house, horse treks or a farm tour for the kids. If none of these options float your boat – if you will pardon the maritime pun - a wander around the gorgeous lakeside gardens is recommended. TSS Earnslaw has an onboard café and a piano bar where return journey singalongs are enjoyed by everyone on board. 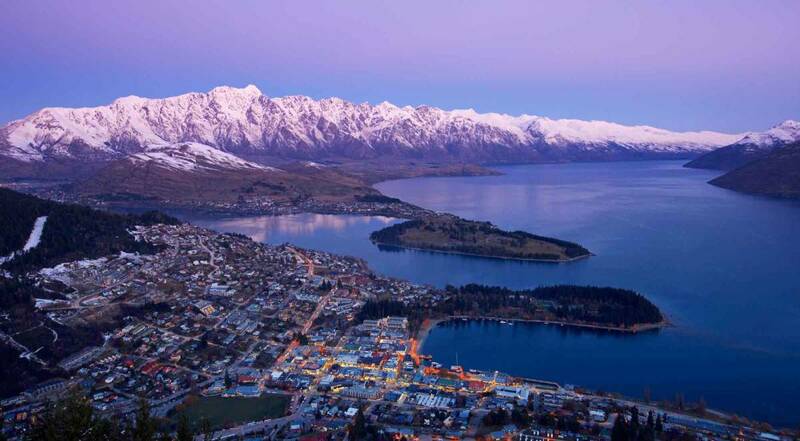 Skyline Queenstown will take you up to take in the jaw-dropping views over the lake. 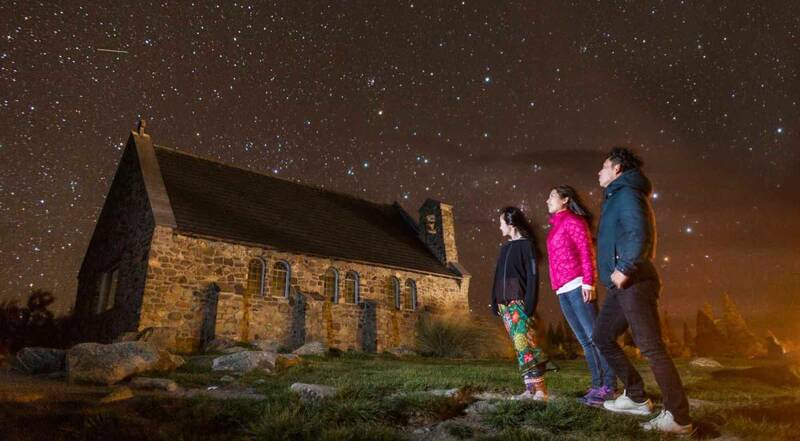 There’s plenty on offer to keep all the family happy all day, and there’s stargazing at night. But if you find yourself looking for a fast way down, take The Luge for a hair-raising journey back to lake level. 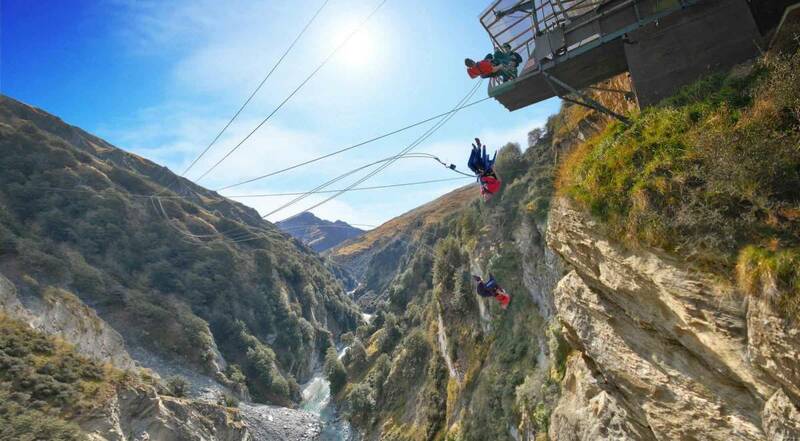 Additional ways to spike the adrenaline abound in Queenstown, which is home to the legendary Shotover Jet and the birthplace of commercial bungy jumping. You can also white-water raft, paraglide or take the Zip-Trek, if you’re thirsting for more aerial action. The Queenstown Region includes stunning Lake Wanaka and Mount Aspiring National Park, the gateway to ever popular Milford Sound. It’s also home to some very fine powder during winter at nearby Cardrona, Treble Cone and Coronet Peak ski fields. Even then, you would scarcely scratch the surface of all Queenstown has on offer. But let’s assume that with a drop-off in Auckland your time is not unlimited, so you’ll have to pick and choose your thrills according to time and budget. Historic buildings line the busy streets of Arrowtown and cafes abound. Although we think that, the best part is the recently-upgraded remnant of the Chinese settlement which thrived at the height of the gold rush. Here lies the opportunity to learn about the settlers who lived in humble homes carved from the hillside, even through harsh winters when the river below sometimes froze. If you’re passing through this district in summer, first of all, lucky you! Central Otago is stone fruit heaven. Let the kids pick cherries, peaches and luscious apricots sun-kissed and ready to eat from roadside stalls, and that’s just for a kick off. Central Otago is famous for food and wine. A visit to Old Cromwell Town is a must do. This charming historic precinct was recreated when the original township was flooded to form Lake Dunstan. Now visitors can wander through the old buildings and enjoy local specialities. By contrast, petrol heads will not want to miss Highland Sports Motorsport Park for Go Karts and revved up race track experiences to get the heart racing. Exciting overnight options abound. These include Wanaka which is a buzzy little town lakeside town with several different campgrounds on offer. Here you will also find such quirky family-friendly adventures as Puzzling World and The National Transport and Toy Museum. If time is not in your favour, you might like to continue on to Aoraki Mount Cook Village where you can enjoy The Sir Edmund Hillary Alpine Centre within The Hermitage complex - perfect for the kids. 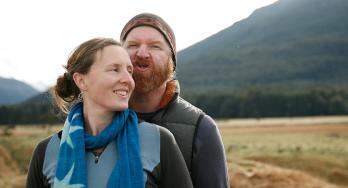 Stay at the DOC camps nearby, or continue on 1.5 hours to Lake Tekapo. From there it’s just 3.5 hours by road to Christchurch. Lake Tekapo is located at the heart of Mackenzie Country where the brilliance of the night sky has seen this region awarded International Dark Sky Reserve Status. Mount John Observatory is open day and night and a great place to take the family stargazing. By day, Tekapo’s brilliant blue lake and the adjacent stone church is one of the most photographed tourist attractions in the country. Stay overnight at the waterside campground and make time to enjoy the adjacent Tekapo Springs where hot pools and the country’s longest waterslide will deliver hours of fun for kids and adults alike. Head over Burkes Pass for a quick pit stop at The Fairlie Bakehouse to try one of their famous pies. Or carry on to lovely Geraldine where there is a brilliant little campground with a quirky cinema next door and a magical machinery museum for those with a mechanical interest. Stock up on regional foods at the weekend markets or look out for gourmet cheeses and Barkers Preserves in speciality shops. 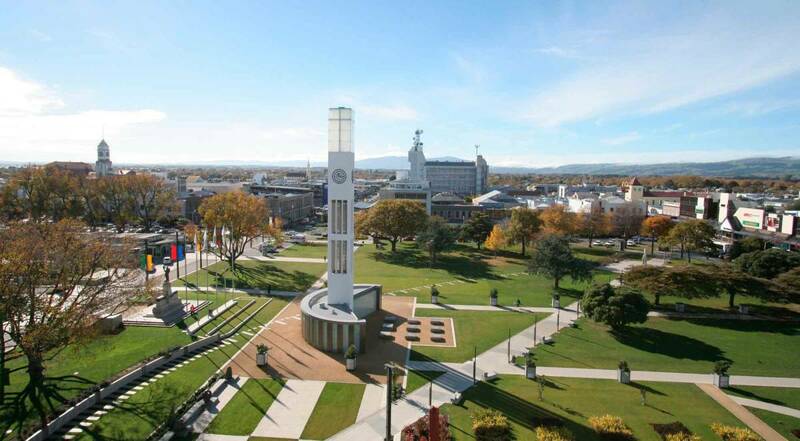 Christchurch is a vibrant city with plenty to see and do, even if time is tight. Hagley Park, Christchurch Botanical Gardens, Avon River and city walks to take in earthquake damage and the revitalised city buildings decked out with amazing murals are all free. If you have time to spare, make a beeline for the trams, or get out of town to Willowbank Wildlife Reserve where all the wild things are. Lonely Planet has just placed eating Kaikoura crayfish at seventh place on its international food rankings. But travellers also rave about ‘seefish’ experiences – like whale watching from specialty cruises. For a cheap thrill, seals (and even sea lions) can frequently be seen basking on the waterfront or rocks near coastal campgrounds. But do not get too close these are wild creatures. You’ll literally be bowled over if you get in their space. A lot of travellers pass right through Picton which is a destination in its own right as well as being a gateway to the provinces of Marlborough and Nelson. Here you’ll board the inter-island ferry, bound for the North Island. The ferry trip takes around 3.5 hours and there are numerous daily sailings, with two companies plying this popular route. The journey through The Marlborough Sounds is in itself spectacularly scenic. When you reach Wellington you will immediately sense the charm of this buzzy little capital city with so much to see and do. Campervans can stay overnight near the ferry terminal, so if you arrive late at night, you may wish to take advantage of this service. Te Papa is the country’s national museum and it’s at the heart of the vibrant waterfront precinct. Wander up to Cuba Mall for a food fix and people watching; or take a bus to Maranui and dine out at the old surf lifesaving club on the waterfront. If time is tight and you want an overview of the city and harbour, Wellington Cable Car will take you up to enjoy panoramic city views. The road trip from Wellington to Auckland could be done in one long (8.5-hour) day but then you would miss so much along the way. Break this down into three or four quality stopovers and you’ll have a manageable and memorable trip. Depending on the ages of your family members, you may want to break up the first leg with an overnight stay in Palmerston North where Te Manawa - the art, science and history museum is located. This hidden gem hosts some of the best international exhibitions so it really should be on your itinerary. Things start heating up as you head north to Taupo where Craters of the Moon, an active geothermal field just minutes from the town centre, can be seen in all its steaming glory. Taupo is a hunting, fishing, hiking, biking and boating hub which is a destination in its own right. 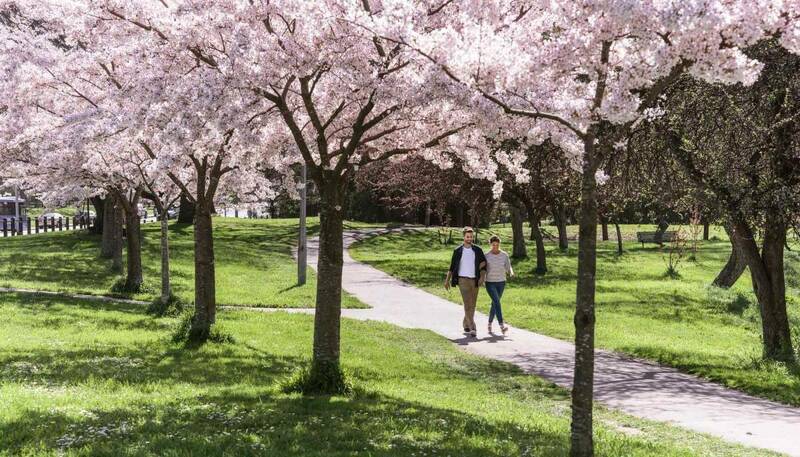 Stay and play for a few days and enjoy the exceptional Huka Prawn Park where you can catch and cook your own prawn and throw it on the barbie; or simply carry on cruising through to Rotorua. It’s easier to list what’s not on offer in Rotorua which is visitor central. Maori culture, mountain bike trails, forest walks, lake fishing, geysers, thermal pools, white-water rafting, kayaking and canopy tours are just a start. Add to these The Rotorua Skyline Luge and Paradise Valley Springs and Wildlife Park for just a few of the other activities you may like to choose. Hamilton and Hobbiton or Tauranga and The Mount? The choice is yours here: continue on towards Tauranga and lovely Mount Maunganui with its Surf resort vibe, or head for Hamilton city and straight down SH1 to Auckland. If you decide on the Hamilton route you are in for a treat when you stay over at lovely Cambridge, which must be one of the prettiest towns in the region. And don’t forget this is Hobbit country, so plan on a side trip to nearby Hobbiton if that’s your Baggins. 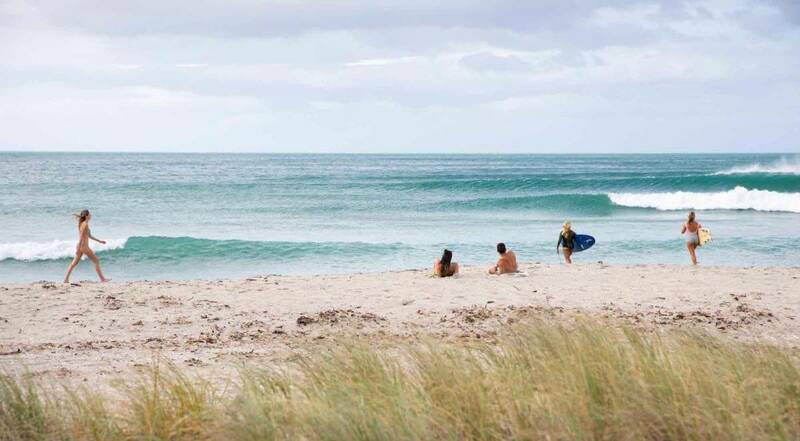 Mount Maunganui is family-friendly with a campground perfectly placed between the beach and a community pool at the fount of the namesake Mount with all of its wonderful coastal walks. It’s a delightful holiday place with surf, sand and shopping. Dine out on everything from Mexican to Middle Eastern and shop ‘til you drop. Auckland – City of Sails is a wonderful city for anyone who loves to be beside the seaside. One of the city’s best-kept secrets is Takapuna Beach Holiday Park beside the beach at lovely Takapuna. Base yourself there and travel by bus to the city or by ferry from the nearby picturesque village of Devonport to explore everything this great little city has to offer. You might even take a 35-minute ferry trip from Devonport to Waiheke Island to spend your final day exploring the vineyards or beaches. Go on…. spoil yourself. 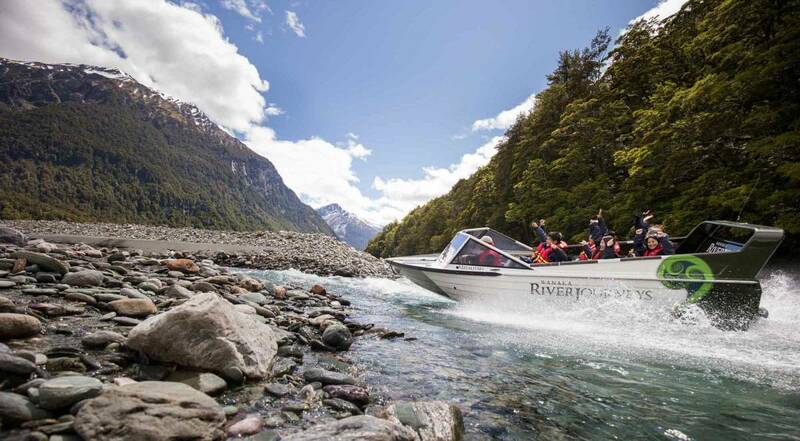 Inspired to pack up the family and explore New Zealand these school holidays on a holiday they’ll remember forever? Take a look at our latest deals on Britz campervans.